DreamCatcher is delivered as Software as a Service (SaaS) with a subscription based pricing model. 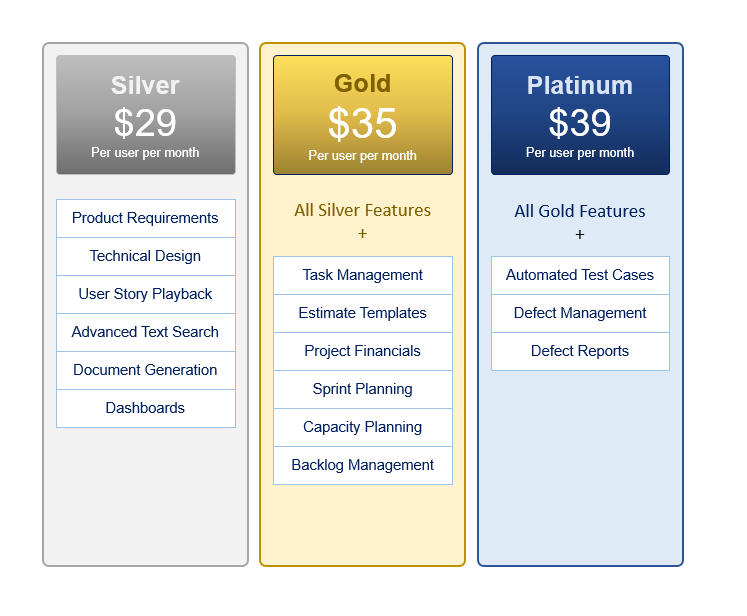 Pricing is per user, per month. Contact us for annual billing discounts. Concerned about generating a good ROI on your investment in DreamCatcher? DreamCatcher delivers exceptional value for the price, when compared to the industry average pricing of all the individual functional capabilities. Please join our mailing list to be notified about future blog posts, product updates and company news! 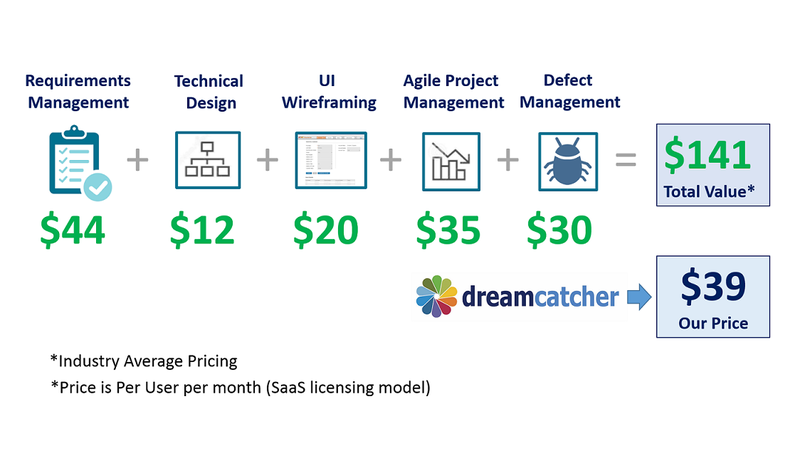 DreamCatcher Software develops the DreamCatcher Agile Studio – the right way to manage product requirements and design in an Agile development environment. DreamCatcher also offers Agile Project Management and Software Quality management through companion modules, that work with the core requirements and design module in a seamless manner – a truly integrated Agile suite.